The EoC symposium, held in the Faculty of Divinity of the University of Freiburg, planted food for thought. “Is the Economy of Communion (EoC) a utopia?” Was the title of the EoC symposium at the University of Freiburg. The question was easy to answer at the end of the event. Although a minor percentage of the businesses in the world run according to the EoC principles, they are not a utopia; they exist! The topic piqued the audience's interest from the beginning when Dr. Michel Vandeleene introduced Chiara Lubich's spirituality, the project's spiritual breeding ground. Jean-Michel Besson, entrepreneur and co-responsible of the EoC in Switzerland, summarized the twenty two year's history of the EoC, in an involving presentation. Dr. Vandeleene explained that the EoC spiritual inspiration promotes a new economic approach through personal relationships that are based on reciprocity. This spirituality allows economic actors to relate according to the Christian model of the Holy Trinity. Jesus can be present among businesspeople “For where two or three have gathered together in My name, I am there in their midst.” (Matt. 18:20). Vandeleene answered a question from the audience on the reasons Chiara Lubich did not associate the EoC to alternative economic schools. He clarified that this project sprang from a charism and it is not an initiative of a group of intellectuals. Practical experiences came before the theory while usually it's the other way around. The professor of International Competition and Strategy of the University of Freiburg, Paul H. Dembrinski highlighted the absence of a spiritual dimension in the economic communities. They are root and meaningless as long as new ways to approach business aren't developed. Besides the practical and spiritual approach, the EoC stands out for it's ideas. Prof. Dembrinski replied to the question on the profit tripartition insisting, “Forget the outcome. Results and profit aren't good indicators. Today we need to create value: Capital and labor should be our priorities.” EoC companies create value not by solely sharing profit, but through promoting communion and reciprocity which permeate the entire businesses. Dr. Anouk Grevin, professor of Management of the University of Nantes, underlined the attributes that distinguish EoC businesses from others. Georg Endler, director of Tergon from Montet, Freiburg, introduced his company. It produces high quality office chairs and is one of the 800 EoC businesses in the world. “How can you keep up with the Swiss wages and sell office chairs in Germany?” “I ask myself the same thing” beamed Georg Endler. The crisis compelled Tergon to reduce workforce and use its savings. It had to reinvest a part of the profit in the company. But, with another part it financed professional training for workers in need. Furthermore, the company used a third share of the profit to promote the EoC's “culture of giving” and principle of reciprocity through workshops and courses for youth. 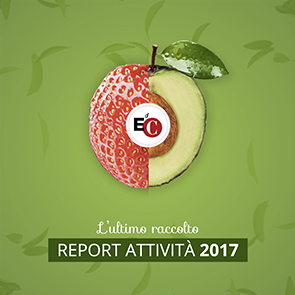 Luca Crivelli, professor of the Università della Svizzera Italiana and member of the International Commission of the EoC, believes that the project promotes “Value Based Organizations” (VBO). This concept inspires many social oriented initiatives including the EoC. He pointed out the common and different aspects between social businesses and cooperatives. He then highlighted the unique attribute of EoC, i.e., the focus on personal relations based on communion and fraternity. The project creates value by promoting reciprocity in the economy, an audacious goal that can hardly be measured. Since the EoC businesses don't want to risk to promote good intentions without practical results, they are committed to the guidelines of VBOs. Therefore, they give part of the profit to charity, manage social activities, and foster active participation among workers. The conference ended with a very interesting round table moderated by Patrice Favre, editor of the Catholic journal Echo. Jean-Jacques Friboulet, professor of Economic History and Dr. Patrice Meyer-Bisch, scholar at the Ethics and Human Rights Interdisciplinary Institute of the University of Freiburg, composed the panel.